Our Steal: Simone Jeanes of Virginia Cook Realtors has listed 6414 Dunstan Lane for $445,000. East Dallas has lots to offer, and that includes the neighborhood of Ridgewood Park. 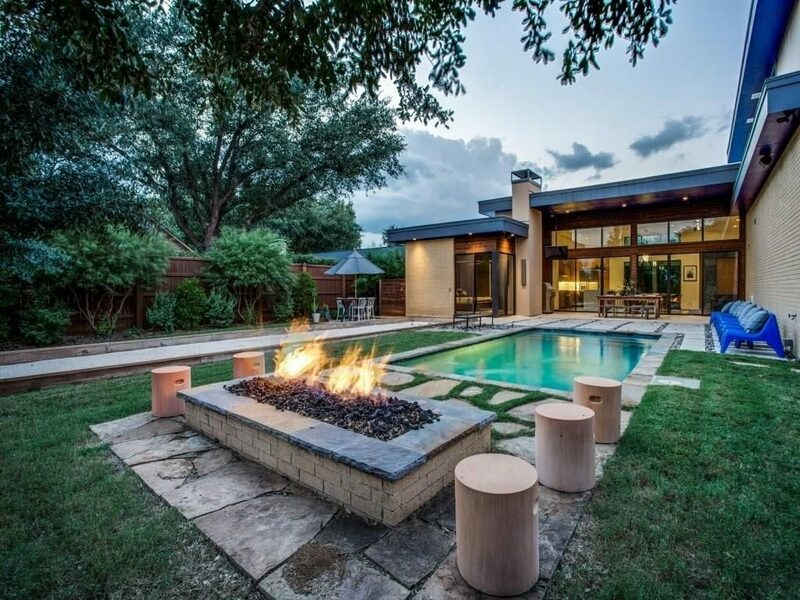 Bound by Abrams Road to the west, Lovers Lane to the north, Fisher Road to the east, and the Ridgewood Trail to the south, this small enclave packs a mighty punch, offering quick access to White Rock Lake and major Dallas thoroughfares, as well as fantastic home values. One look at these two beauties in our latest Splurge vs. Steal and you’ll see Ridgewood Park is worth a look. 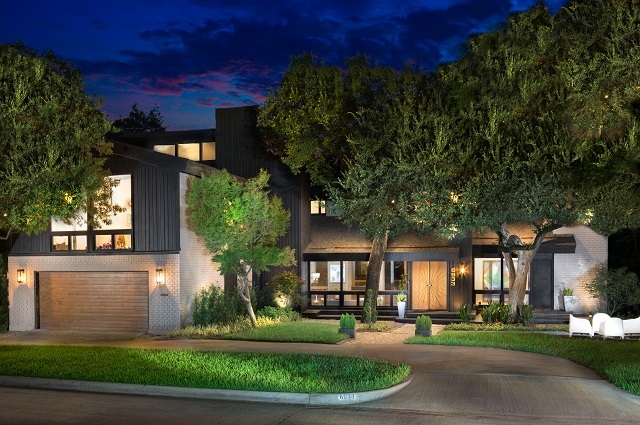 Which one is more “you,” the Trammel Drive splurge or the Dilbeck-inspired steal? We would love to hear in the comments. I think we all want to see a return to groovy, don’t you? 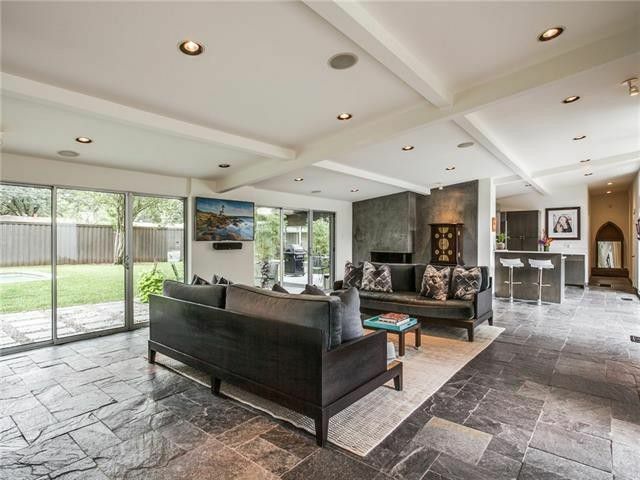 So, when I was looking for the perfect Inwood Home of the Week, this Janmar midcentury modern at 7405 Kenshire Lane popped up and I thought it is just about the grooviest pad we’ve seen in a very long time. Tom Greico-Designed Modern Will Stop You In Your Tracks! 4156 S. Better Drive is listed by Jeff Updike and Weston Pugh of Dave Perry Miller Real Estate for $899,000. Photo Credit: Zillow. Okay Dallas modern house hunters, your search is over. 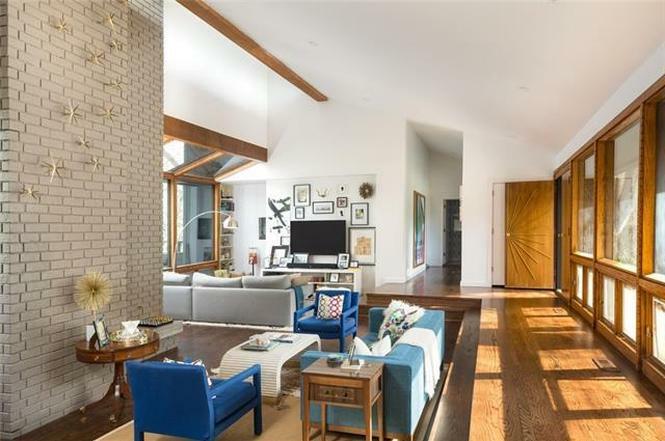 A fabulous Tom Greico-designed midcentury modern-inspired home in Midway Hills just hit the market and it has everything your Mad Men dreaming heart desires, plus a few current design trends you’ll flip over. You’ll recognize the name, of course, as Greico Modern Homes is one of our personally vetted and best-in-town CandysDirt.com Approved Builders. 14112 Valleydale Drive in Hill Haven Heights Subdivision in North Dallas is currently listed for $495K by Brandon Stewart of David Griffin & Company Real Estate. When Joanna England first covered this midcentury modern gem back in September, our readers fell in love. Since then, the three-bedroom, two-bath charmer has taken quite a price cut — a steep one in fact – from $565,000 to its current list price of $495,000! Yes, you read that right. This puppy is ready to be SOLD! Midcentury style is made modern in the house at 3423 W. Pentagon Pkwy. in Oak Cliff. 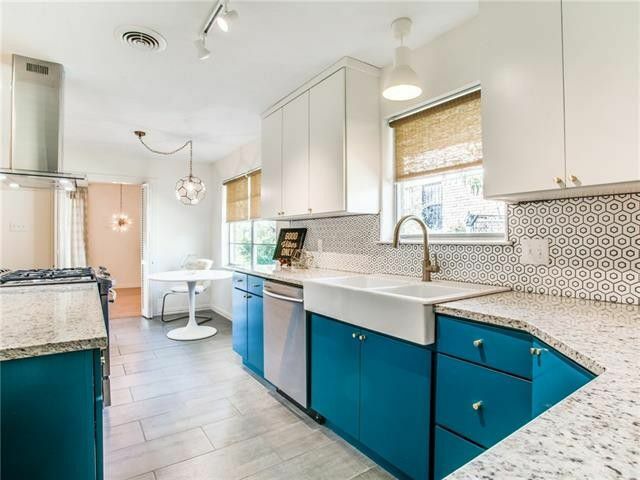 This preserved and updated Parkway Estates midcentury is marvelous, located across from a greenbelt near West Kiest Boulevard and South Westmoreland Road. Our Tuesday Two Hundred will delight you with its original vintage features, married flawlessly to stylish renovations, like a totally updated kitchen. 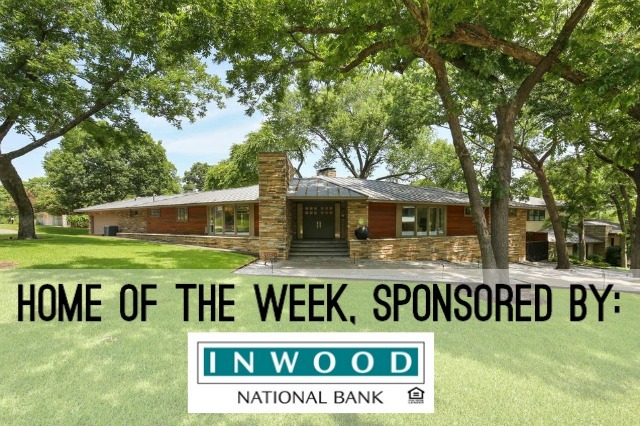 It has three bedrooms, two bathrooms, three living areas, two dining areas, and 1,822 square feet on one story, built in 1960. Big bonus: the 300-square-foot sunroom with central HVAC is not included in house’s MLS size, and neither is the half bath in garage. Sweet! 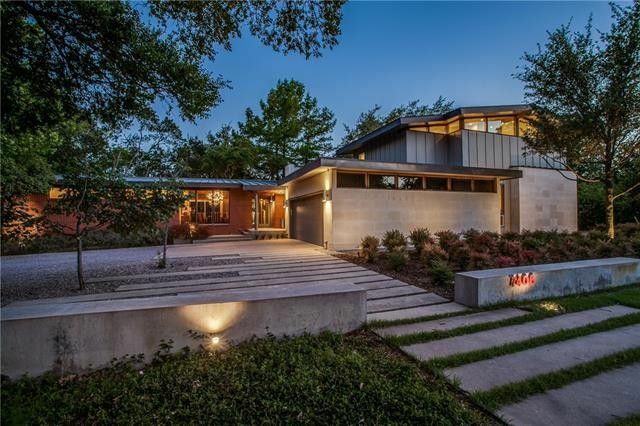 Homebuyers love midcentury modern residential design and I’ve found a fabulous example in the established Dallas neighborhood of Midway Hills. The 1953 house at 10239 Better Dr. was taken to the studs in 2009, redesigned by renowned architect Doug Hildinger. 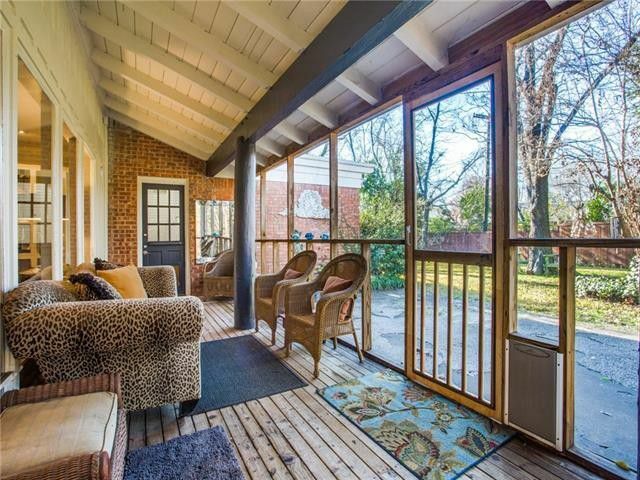 Sitting on 0.37 acres, this property offers big buyer wants, from atomic-era curb appeal and excellent indoor-outdoor flow, to an entertainer’s dream of a backyard, complete with a swimming pool, multiple seating areas, mature trees, and green space. 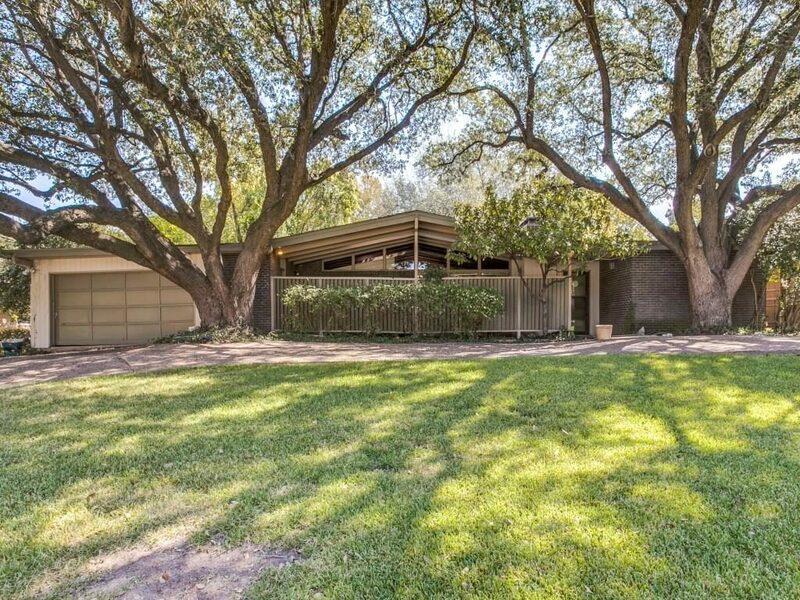 This midcentury modern has three bedrooms, two bathrooms, two dining areas, and 2,614 square feet on one story.